A Year of Being Here: Tamara Madison: "The Way Sunshine Smells"
"The Way Sunshine Smells" by Tamara Madison. Published online by Your Daily Poem. © Tamara Madison. 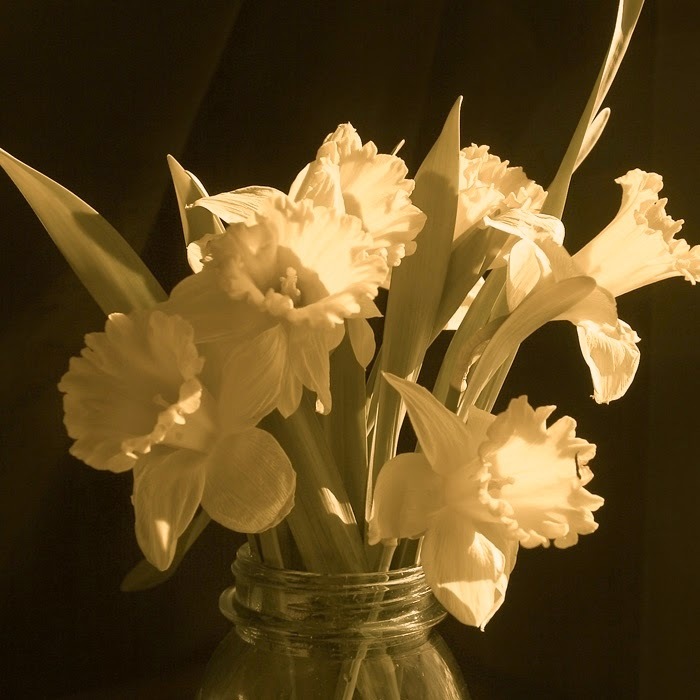 Photography credit: "Daffodils in a mason jar," likely by Bill Bell (originally color).